Well it certainly looks different to the current FG but it will retain FG running gear and I like what they mention about the Miami V8. It's not a falcon anymore. It's a Taurus and a Mondeo with a bonnet bulge. Looks like a chopped pic of the Taurus... Could even be this pic I found? We'll just have to wait until it gets properly surfaced or until it's released. I agreed what is said above!!! The design of car exposing your status. Any museum would envy such a huge diversity. No doubt It's a Taurus and a Mondeo with a bonnet bulge. “The transmission will provide better acceleration and provide adaptive shifting, which analyses the driver’s personal driving style and driving conditions and then implements optimal shifting accordingly. they started this with the EL GT auto and all AU tickford Autos! f**k ford, no wonder ppl are not buying thier cars! why the f**k they kill the GT off and only bring back Xr8 ! GT will still be in the '14 line up? 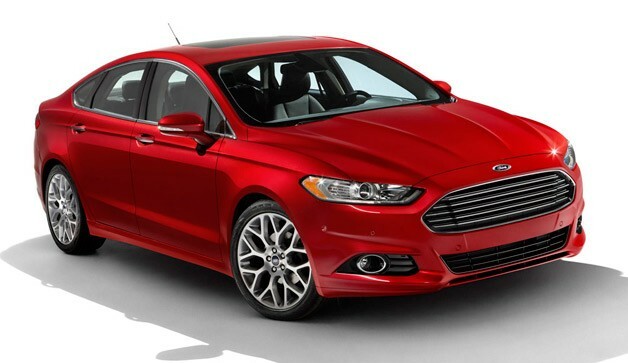 "All six-cylinder cars will get Ford’s China-sourced ZF six-speed automatic transmission from the EcoBoost Falcon"
This is the Ford Fusion that the US gets.